*ADD YOUR CORPORATE LOGO AND PERSONALIZE YOUR LABEL FREE!!!! 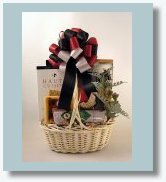 This well menued gourmet food basket includes cheese and crackers, coffee, sausage, nuts, pretzels and mustard. 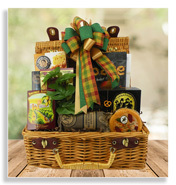 A picnic basket hamper jammed packed with classic gourmet foods to enjoy and to share. 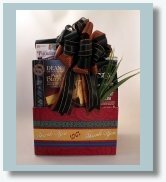 Send your message of appreciation with a 'thank you' goodie box filled with tasty snacks. 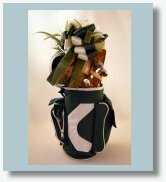 Golf enthusiasts will take delight in receiving this versatile insulated golf tote with Gourmet Snacks & a Golfers Book of Wisdom. 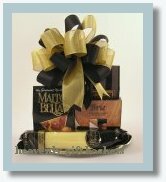 Packed with pizzazz, this classic design is loaded with luscious gourmet foods. Wine may be added to this gift. 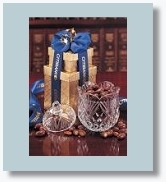 Elegant and distinctive gifts featuring gourmet food for one. 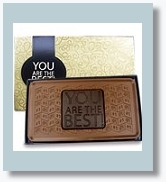 Rich Belgium chocolate gifts personalized for corporate gift giving. Minimums required. 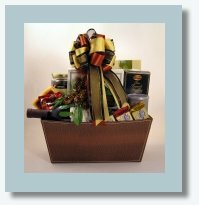 Gifts that are recgonized for their outstanding quality and exceptional flavor!